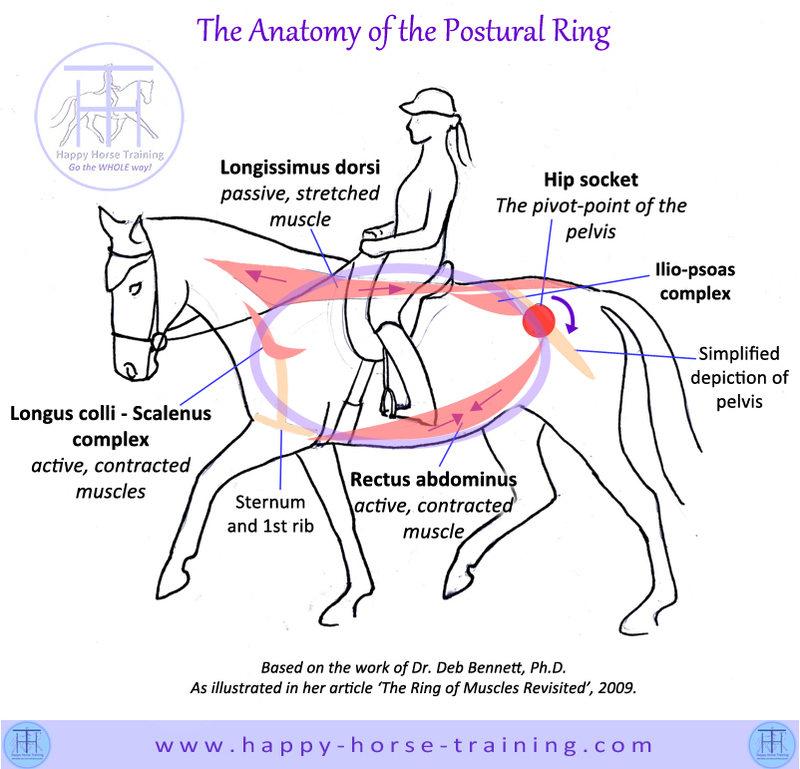 The engagement of the horse's postural ring is the foundation of our approach to dressage. 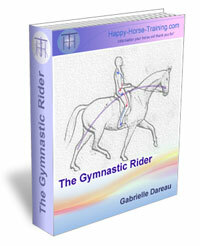 We believe it is the only gymnastically sound, and therefore meaningful, basis for dressage. Engagement on the ring is characterised by a particular coordination of muscular actions which, in conjunction with their effect on the skeleton and connective tissues, provide a stable structure for carrying a rider. 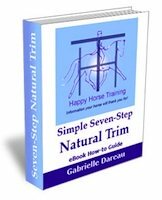 This postural structure provides a unification of the whole body, through which the horse's movement can be powerfully channeled without loss of balance, or any need for the rider to block the horse's front end. For a full explanation of the anatomy illustrated here, please read Dr. Deb Bennett's highly informative article, 'The Ring of Muscles Revisited', available to download as a PDF here. 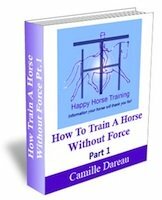 You may also be interested in this Happy Horse Training article, explaining the phenomenon of postural engagement, often referred to as the horse being 'on the bit': What does 'on the bit' really mean?